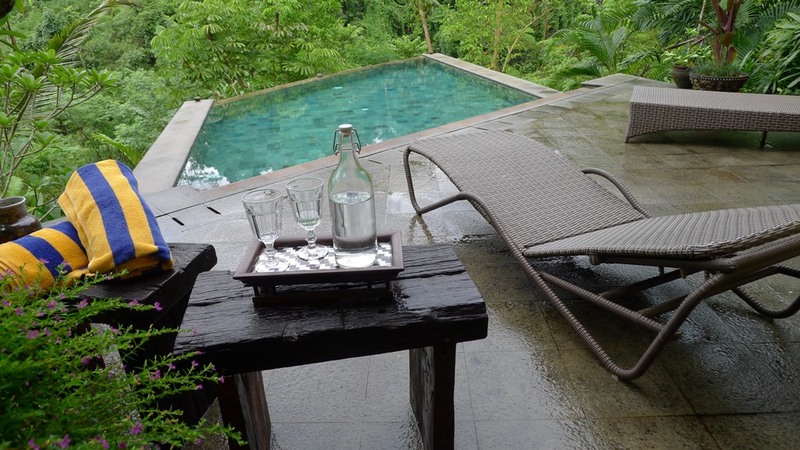 In the heart of nature, the Villa Umah Shanti offers a world away. 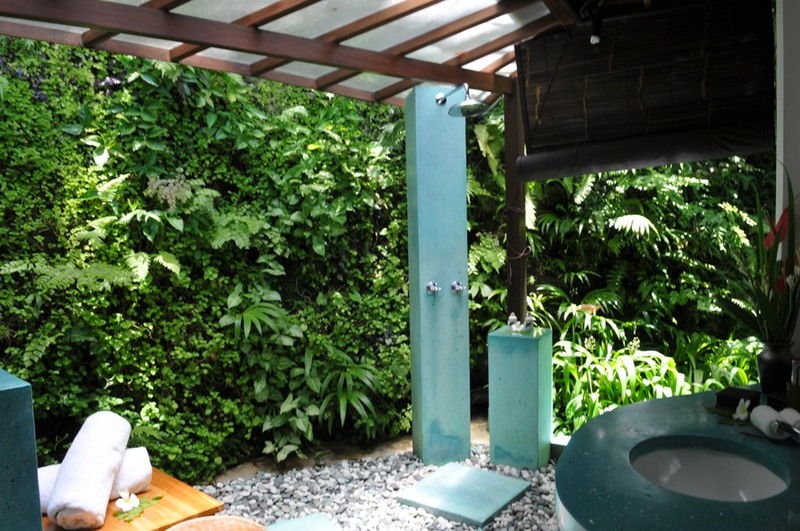 A haven of peace, which has every comfort with many facilities. 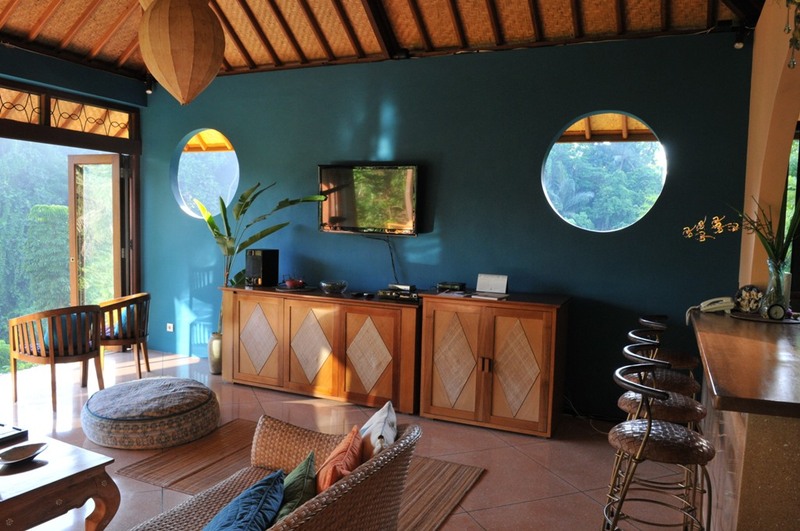 Living room with cable TV with International Channels, DVD player, Internet, Flat screen TV. 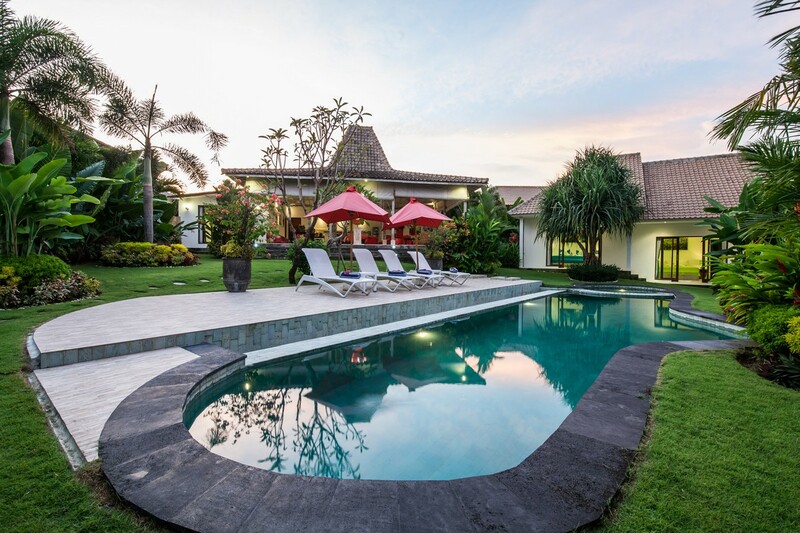 The Villa has 3 bedrooms and can Accommodate up to 8 people with extra bed, with Internet Service Safety, Box Cable TV with satellite channels, Air conditioner, Ceiling fan, Flat screen TV. 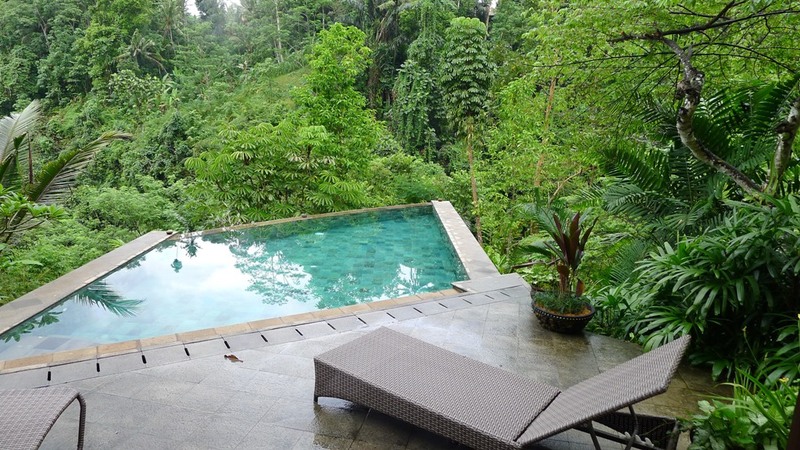 It’s located only 15 minutes driving from Ubud with the view of garden, jungle and valley. 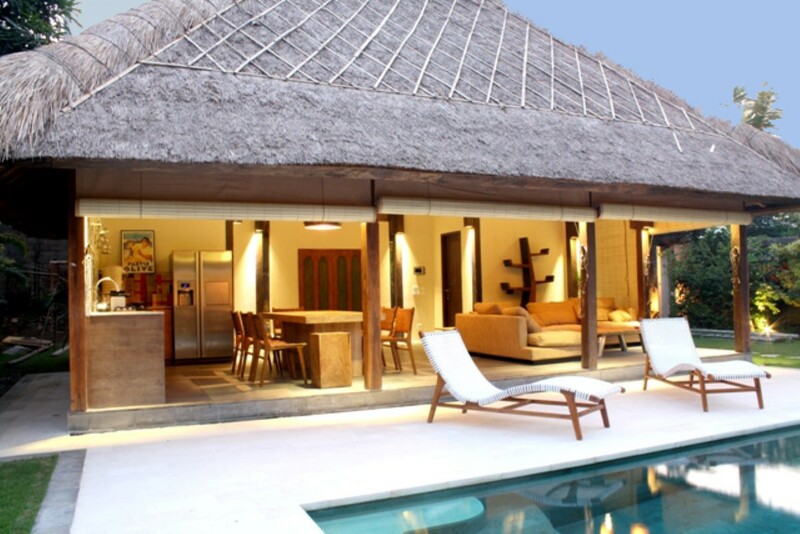 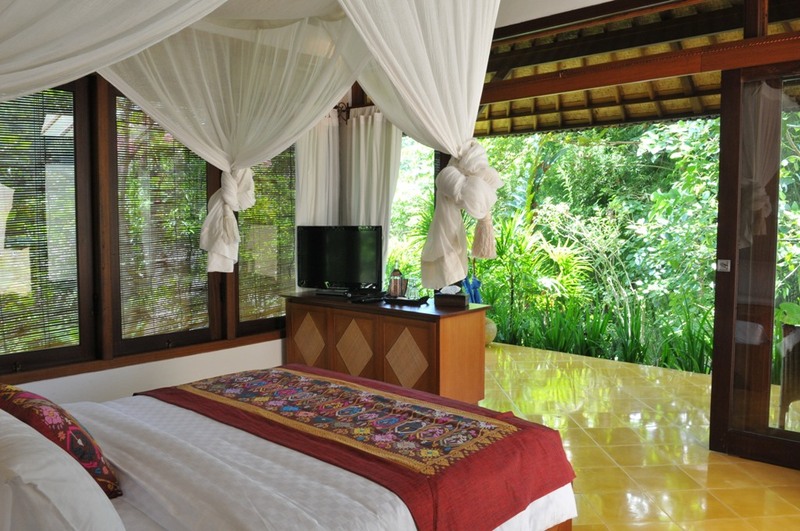 This private villa Provides 3 individual pavilions: Singosari, Majapahit and Sriwijaya. 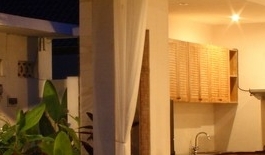 Reviews the most mesmerizing view of the valley can be seen from the building with hand semi open living and dining area, along with the kitchen set. 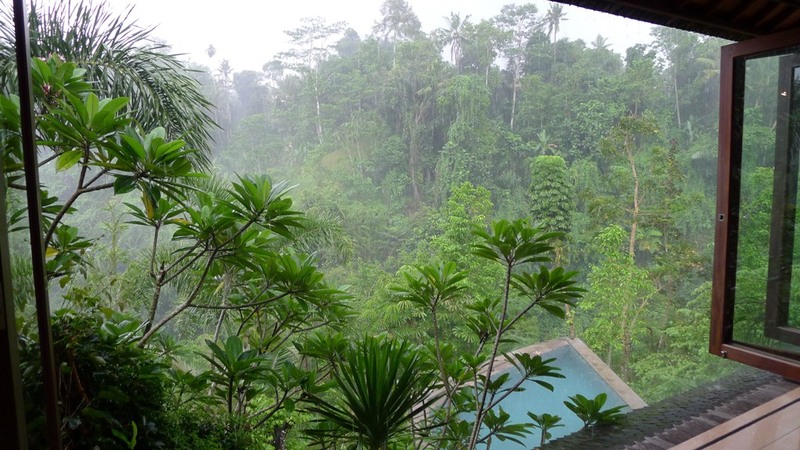 The hidden paradise view contributed by exotic tropical flowers, trees and forest ecosystem will indulge you in an exciting adventure while carving special memories of Bali. 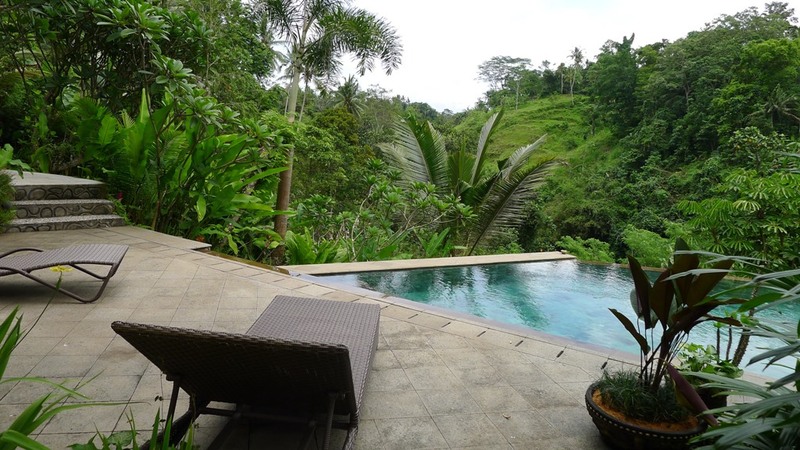 The atmosphere and exotic tropical flowers, forest trees and the ecosystem will offer you an exciting adventure while sculpting special memories of Bali. 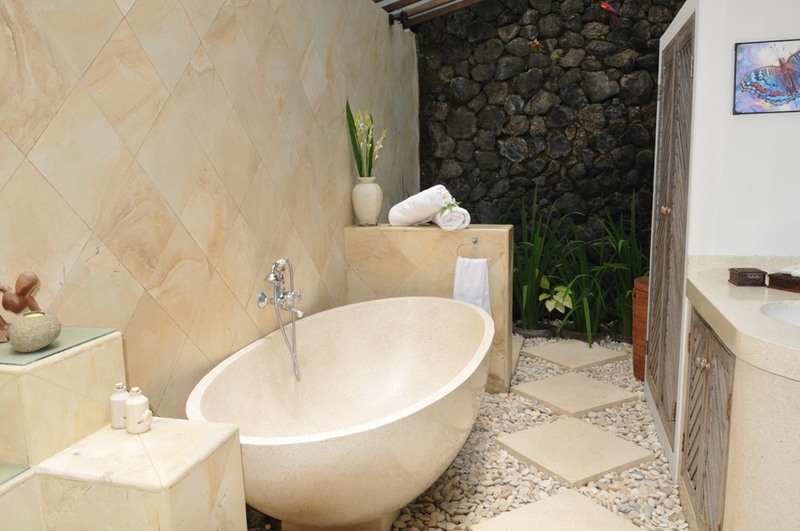 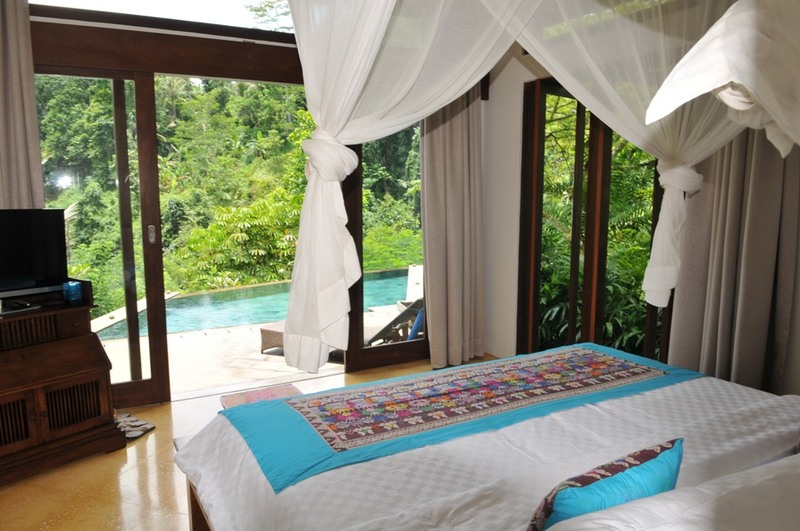 If your wish is to dive into the greenery of Bali, Villa Umah Shanti will respond perfectly to your expectations. 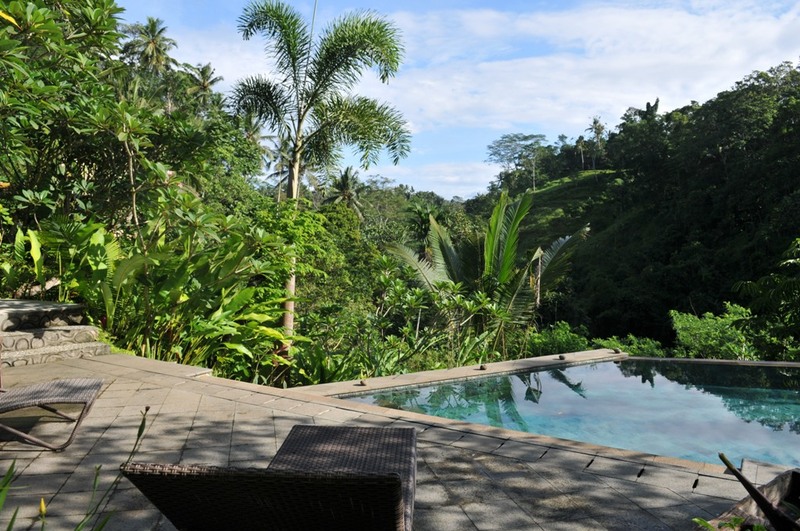 Located just 15 minutes’ drive from Ubud overlooking the garden, the jungle and the valley. 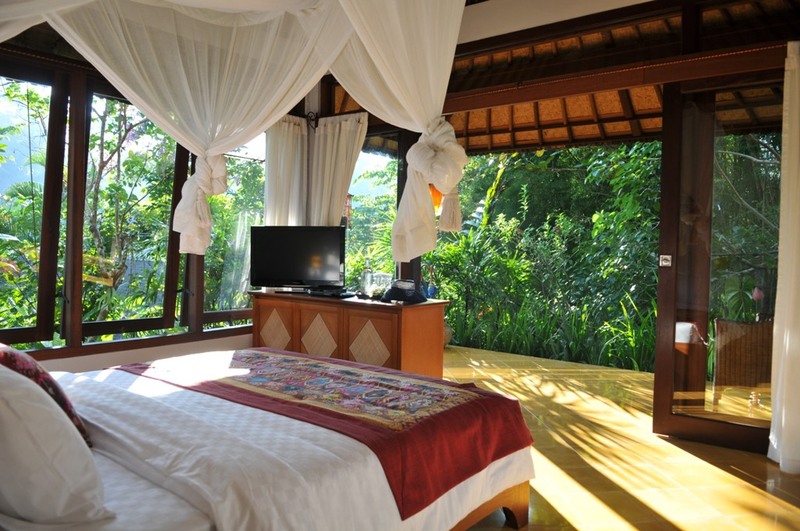 The most fascinating view of the valley can be seen from the main building because the main room of the villa has a window giving you a 180 degree view of nature, to share unforgettable moments with your loved ones. 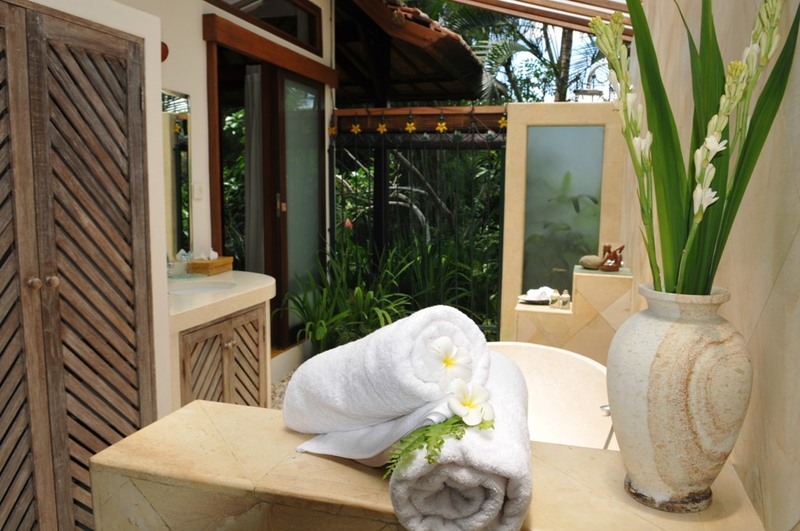 The atmosphere and exotic tropical flowers, forest trees and the ecosystem will offer you an exciting adventure while sculpting special memories of Bali.